One of your shops or the main warehouse is set as the Master (or Head Quarters). Setting of prices, creation of new products, new suppliers and categories is all managed on the Master (Only the Master). Once you change the price of an item on the master, the price is reflected in other shops after a few minutes. New products will become available for sale on all outlets before they physically arrive at the shop. From HQ, one can extract global sales and stock data for each individual shop, or for all shops togetheriLabCentral fully integrates mutiple outlets and/or warehouses running iLabPOS. 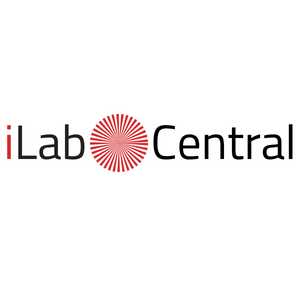 Simply put, iLabCentral works like Google Drive, One Drive or Drop Box. In each shop you have iLabPOS installed on the local PC or network. When an internet connection is available, stock and sales are uploaded on the cloud (Or on one of your servers). If you loose your internet connection, iLabPOS will still keep running. You will of course loose features such as viewing what stock is availble in other shops, but otherwise everything else you need to run your shop will function normally. From each shop you can view what stock is available in other shops. Further more, stock transfers are automated from any shop to any other shop. The receiving end needs to confirm a stock transfer before it is commited. For those looking to purchase a Point of Sale Solution to complement financial or stock packages, iLabCentral is your solution. It can expose your product and sales data from iLabPOS to be consumed either through API's or through direct access with Microsoft SQL Server.